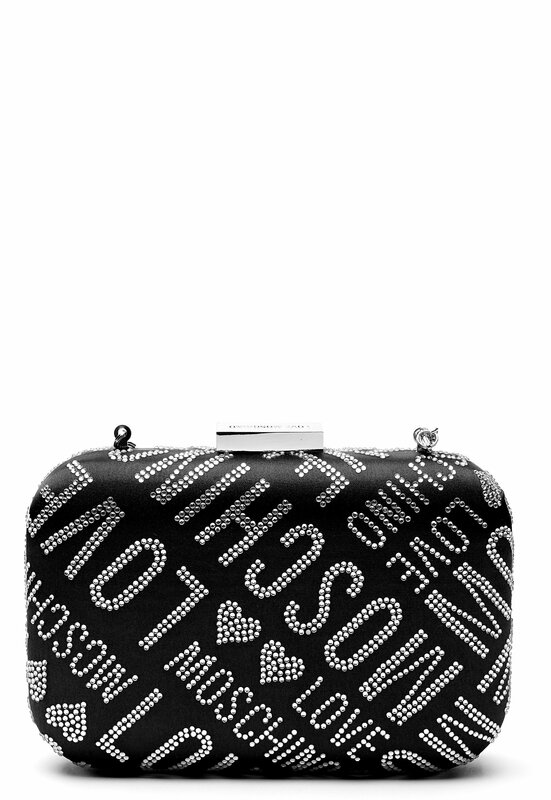 Elegant clutch bag from LOVE MOSCHINO. 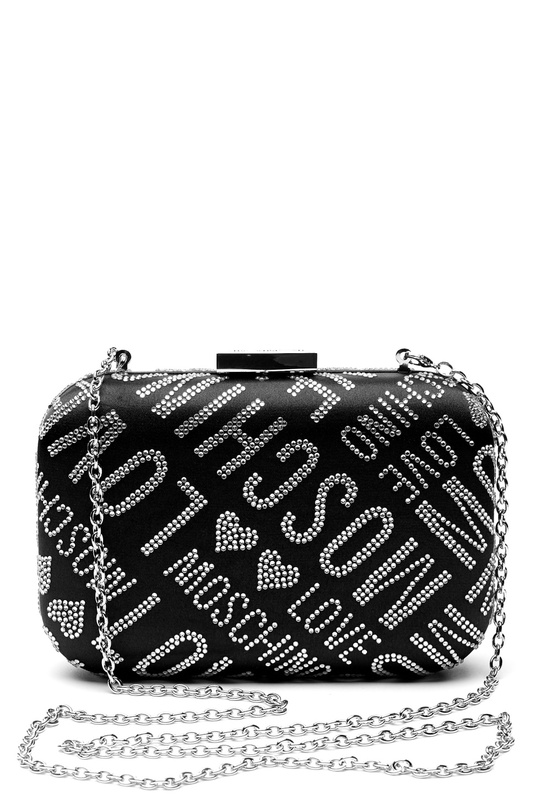 - Chain shoulder strap (detachable) - Buckle closure with brand logo - Adorned with logo in rhinestone - Dustbag included - Black inner fabric with logo print Length 18.5 cm, width 4.5 cm, height 12 cm. For returns to be accepted, the bag must be undamaged and returned with the original dustbag.